NEW YORK (TRP) — Adam “MCA” Yauch, a founding member of the legendary rap group the Beastie Boys, has died at the age of 47. Yauch, who had been undergoing cancer treatment, stunned fans in 2009 when he announced he was pulling out of a planned tour after discovering cancer on his parotid gland and lymph node. The untreatable form of cancer forced Yauch to miss the Beastie Boys’ induction into the Rock and Roll Hall of Fame in April. A rep for the rapper, songwriter and director did not immediately release a statement on the passing. The Beastie Boys are revered as one of the longest lived and celebrated hip hop acts in music history. 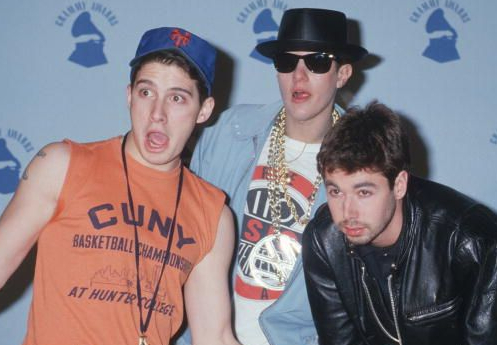 The group consisted of Mike D (Michael Diamond), MCA (Adam Yauch) and Ad-Rock (Adam Horovitz). Yauch was widely known for his work with the Beastie Boys which he founded in 1979 alongside Ad Roc, Mix Master Mike and Mike D.
The group’s latest album, Hot Sauce Committee, Pt. 2, was released on this week. Longtime friend Russel Simmons, who is credited with breaking the news of Yauch’s death Friday on his website Global Grind, released a statement, expressing his sadness over the untimely news. “Adam was incredibly sweet and the most sensitive artist who I loved dearly. I was always inspired by his work. He will be missed by all of us,” he said.